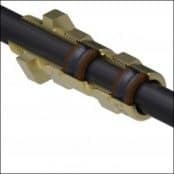 View the complete ranges of hazardous area cable glands with protection concepts including explosion proof and flameproof types – cable glands for safe cable termination in hazardous areas are available for armoured (single steel wire SWA AWA), braided (galvanised steel/phosphur bronze) and unarmoured cables certified to ATEX and IECEx. 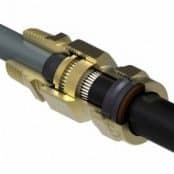 A complete range of Hazardous Area Cable Glands suitable for terminating all types of cables with ATEX & IECEx approval certification in explosive atmosphere installations – visit cable glands for industrial, high voltage and specialist applications. Prysmian Group, created by the merger of Prysmian and Draka Cables is the world leading cable manufacturer. In order to protect personal and equipment from potential explosions the principle of hazardous area classification is used – this involves risk assessing the plant area and defining areas according to the type of flammable material and the probability of its release to create an explosive atmosphere. Should you require technical support or specification guidance to ensure the correct selection of cable glands for hazardous area locations please do not hesitate to contact us – we service the UK and international oil, gas and petrochemical industries with an extensive range of cables, accessories and electrical equipment for project construction, maintenance and repair. 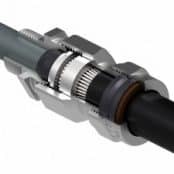 Thorne & Derrick also distribute Marine & Offshore Cables manufactured by Prysmian Draka for low/medium/high voltage power, control and instrumentation – including BFOU, RFOU and fire resistant cables with supporting ranges of flameproof and explosion proof junction boxes, cable joints, terminations, cleats and connectors. 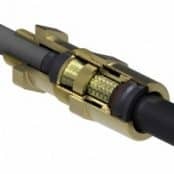 Ex Ia & Ex Ib – Intrinsically safe cable glands designed in such a way that the energy of any spark is lower than that can ignite a flammable mixture. Ia is designed to a higher integrity and can be used in Zone 0 hazardous area locations whereas Ib is only suitable for Zone 1 & 2 locations. 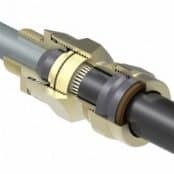 Ex d – Flameproof cable glands designed in such a way that it can contain / control an ignited flammable mixture and prevent it from igniting any flammable mixture that may be outside the equipment. This protection method can be used in Zones 1 & 2 hazardous areas. Ex e – Increased safety cable glands designed using components that cannot create arcs and sparks i.e. result in ignition – these enclosures can be made from thinner section materials but are required to be sealed to a minimum ingress protection level of IP54. This protection method can be used in hazardous area Zones 1 & 2. Ex p – Pressurized equipment that is constantly pressurized such that flammable mixtures are continuously expelled from the equipment. This protection method can be used in Zones 1& 2. Ex nA – Similar to Exe in that equipment should not create arcs and sparks but not to the same stringent levels. This protection method can only be used in Zone 2. 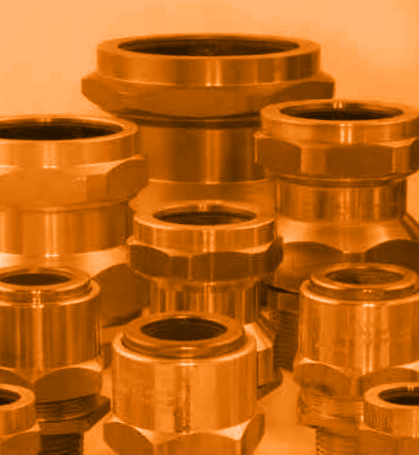 Ex nR – Restricted breathing equipment is fitted with tightly fitting seals which help prevent the ingress of explosive mixtures and thus prevents them from reaching hot components. This protection method can only be used in Zone 2. A place in which an explosive atmosphere consisting of a mixture with air of flammable substances in the form of gas, vapour or mist is present continuously or for long periods of time. A place in which an explosive atmosphere consisting of a mixture with air of flammable substances in the form of gas, vapour or mist is likely to occur in normal operation occasionally. A place in which an explosive atmosphere consisting of a mixture with air of flammable substances in the form of gas, vapour or mist is not likely to occur in normal operation but, if it does occur, persists for a short period only. 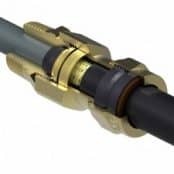 Cable glands are not allocated a ‘T’ class unlike like other items of hazardous area electrical equipment because they are designed as a component part of a piece of equipment and in themselves cable glands do not produce heat; therefore it is impossible to assess any heating effects. 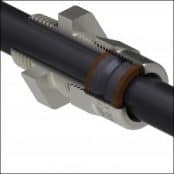 However glands are allocated a “service” temperature, which is the temperature range to which a cable gland may be subjected to in service (if not specified in the certification report this is assumed to be -20ºC / +40ºC) and it is the responsibility of the user, in accordance with the installation codes of practice, to select an appropriate gland. 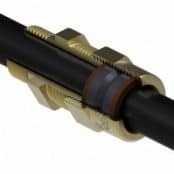 In some cases it may be possible for a cable gland manufacturer to state that a gland is suitable for a specific ‘T’ class application, i.e. where the glands specified ‘service’ temperature significantly exceeds the limiting temperature of the specified ‘T’ class, but the gland will not be marked with any ‘T’ rating. In most cases the above assessment is determined and decided by the end user, since ‘T’ classes are allocated on the basis of a maximum possible external surface temperature, whilst in service the gland may see greater internal temperatures, or vastly reduced temperatures, due to factors like positioning, the external ambient and the geometry of the enclosure to which the cable glands are fitted. Zone 20 – Zone 20 hazardous areas are those in which an explosive atmosphere in the form of a cloud of combustible dust is in the air for an extended period of time or frequently. Zone 21 – A zone 21 hazardous area is classified as having a presence of combustible dust in the form of a cloud occur frequently during normal working operations. Zone 22 – A working place where an explosive atmosphere in the form of a cloud of combustible dust is unlikely to occur and if it does it would not be for a long period of time. 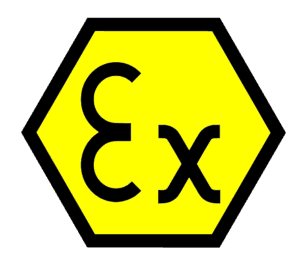 ATEX: European Directive stipulates and certifies equipment intended for hazardous areas explosive atmospheres to be designed and manufactured to minimize the occurrence and limit the severity of accidental explosions. INMETRO: Certification body for Brazil to ensure electrical equipment meets requirements for use in hazardous and potentially explosive atmospheres.